“We were in the street and we heard a sound like a gunshot. We thought it was a firecracker,” told the man to his friend in the Netherlands. “For the second time we heard it and I saw that Neda was not normal, and we ran toward her.” His friend, a doctor, tried to offer help to the woman, who was unknown to them both. But it was hopeless. Within two minutes, Neda was dead. The video that he shot, touches you deeply. Just before Neda dies, her stunned eyes look straight at the camera. Then blood flows all over her face. Within seconds, voices transform into shouts, a crescendo of hopelessness. After the Iranian unrest began, Hamed had started to put information on his facebook page. He put the video on that page, and also on CNN i-report, YouTube, and sent it to the BBC. “Five minutes later a huge number of e-mails started to come.” A symbol was born. 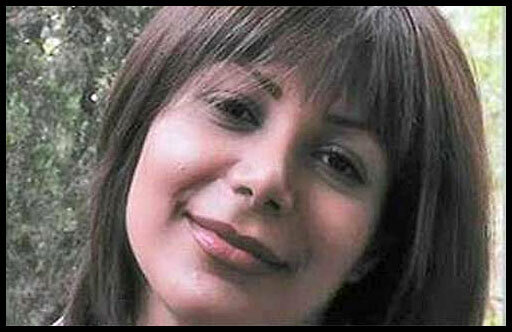 Initially nothing was known about who Neda was and what she did at the location where she died. This would cause a tragic misunderstanding. Through twitter she found Hamed’s video. Only some 120 people had seen it at the time. She contacted him, “He thought the name was Neda Soltani.” Beam searched on facebook and found a woman by that name. “I am not the one you are looking for,” she replied. Several news media have already interviewed family members and friends of Neda Agha-Soltan. It is now known that she and her music teacher got stuck in traffic because of a demonstration. Neda stepped out to get some fresh air and got shot. There is also a photo of Neda Agha-Soltan (see below), but Soltani’s photo is still circulating. This is the English version of my Dutch article published by several Dutch media on June 24, 2009.